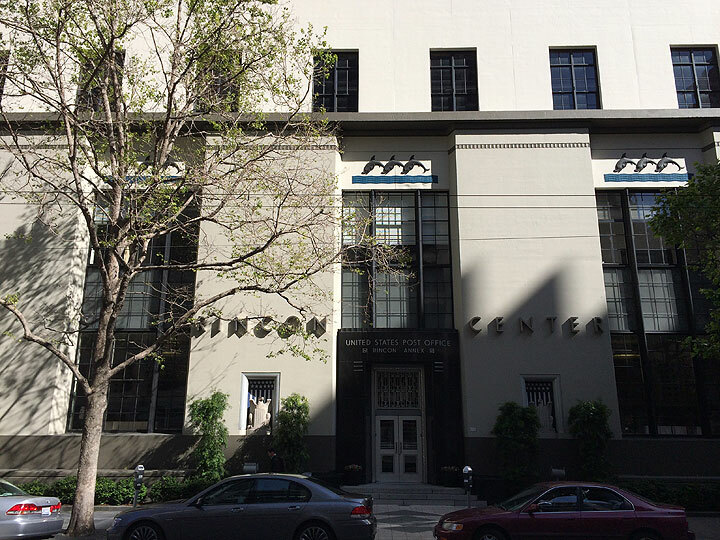 Rincon Annex lobby, restored and open 24 hours but no longer a post office. 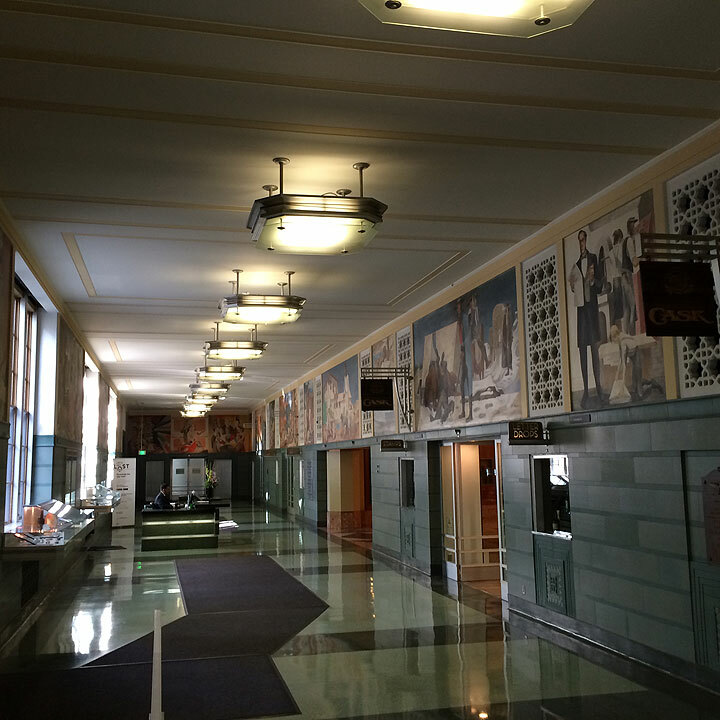 The murals encircle the upper walls of the lobby. Artist Anton Refregier and C.I.O. 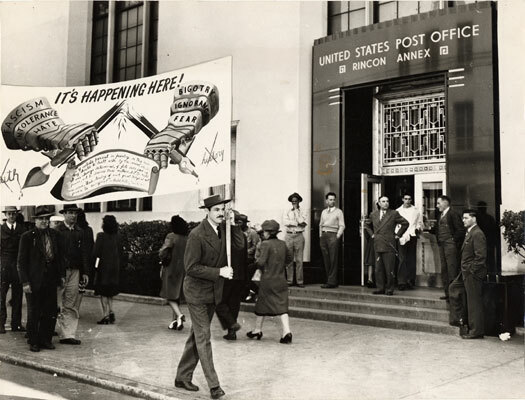 longshoremen union members carrying a banner in protest for the covering up of a section of a mural at the Rincon Annex Post Office, May 14 1948. Ironically, this statement by an anti-communist conservative could easily have been uttered by most California New Deal artists who painted fifteen years earlier. 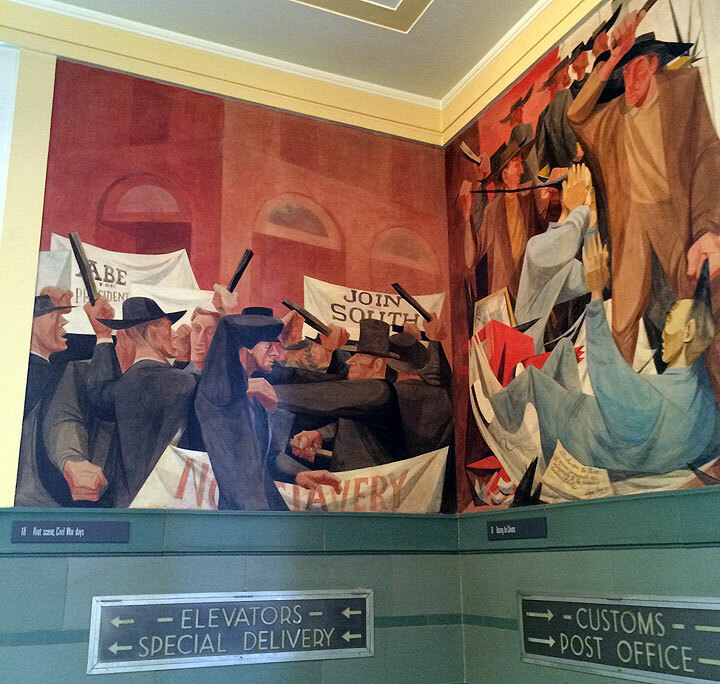 With only the very few exceptions noted above, California artists did not paint "depressing" murals during the Great Depression. They painted romantic and inspiring historical scenes because they looked to America's history as a source of strength in the battle with pressing contemporary problems. (34) Accordingly, they refrained from painting images of contemporary problems because they believed that art should be inspiring for people. Having faith that the New Deal would revive the system that had operated so well in the past, they preferred to paint the world as it should be or as it should have been, not as it was. This panel depicts the Preparedness Bombing in 1916 and the railroading for Tom Mooney and Warren Billings to jail in its aftermath.